For a generation of kids, Tim Burton’s 1989 “Batman” was their introduction to the Caped Crusader. I was one of them. Growing up, I watched reruns of the 60’s Adam West comedy version of Batman on a local television station, but it was the movie that really made me a fan. Because of the huge success of the movie, it was only a matter of time before an animated series was created to cash in on all of the Batman hype. Batman: The Animated Series premiered in the fall of 1992, right after the release of “Batman Returns”. While the series was inspired by Burton’s films, the show did not follow their continuity. Batman: The Animated Series was a world of its own. This freed the series into using any and all of the characters and villains from the history of Batman in the comics. The series put new spins on old villains like The Joker, Two Face, Riddler, and the Penguin, along with little known characters like The Clock King, making every half hour episode into a little mini-movie of their own. To say that this was cool to my 8 year old self is an understatement. This was a cartoon that was serious and didn’t pander. It was a cartoon that you felt “adult” watching, because it didn’t hold back on story lines or character just because it aired in the afternoon alongside other cartoons. The show was such a success right out of the gate that Warner Bros. decided to do a feature length movie version of the series. Originally intended to be a direct-to video release, WB changed their minds and decided to give it a theatrical release instead. 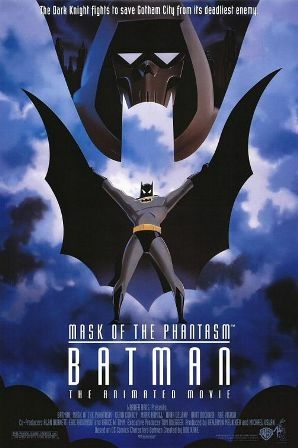 Rushed for a theatrical release in December of 1993, Batman: Mask of the Phantasm bombed at the box office, but has gone on to have a successful afterlife on video. Being a big fan of the series, I was one of the 11 people who went to see it in theaters when it was released around Christmas 93. The release was pretty much treated as an afterthought when it came, not promoted that much and thrown into a crowded end of year marketplace, so there should be no surprise that it flopped. I loved it, as well as the majority of the lucky few who saw it in theaters. It took the movie to be released on video before people discovered how good it really was. 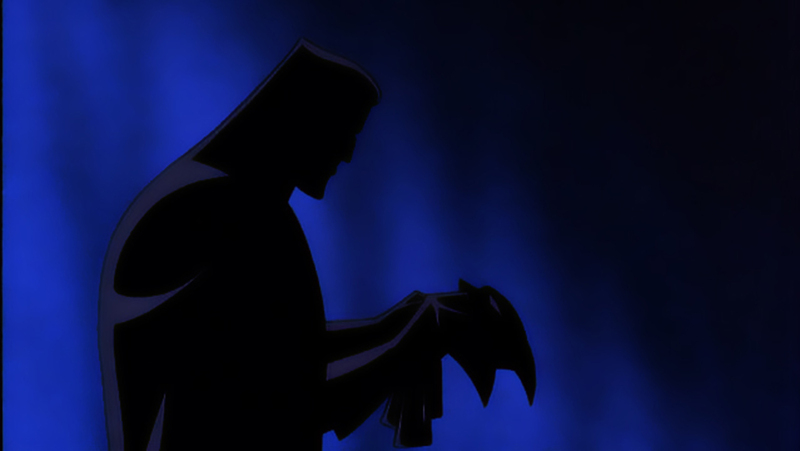 Batman: The Animated Series was high quality and Batman: Mask of the Phantasm absolutely lives up to it. What is interesting about the movie is how it gets into Batman’s origin. In Tim Burton’s Batman, he was already established as the movie begins. 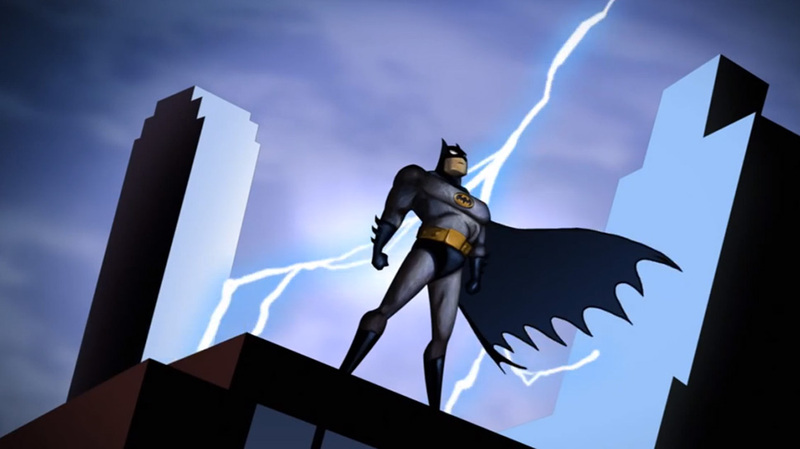 Batman: The Animated Series starts with Batman fully established fighting villains. With this movie, we don’t see Bruce Wayne decide to fight crime, but instead we see him during the time that he fights criminals under a ski mask until he eventually decides to take the guise of Batman. This is smart because it makes sure the movie can bring in new viewers that aren’t fully versed in Batman and make them fans, while at the same time giving fans something they hadn’t seen before. 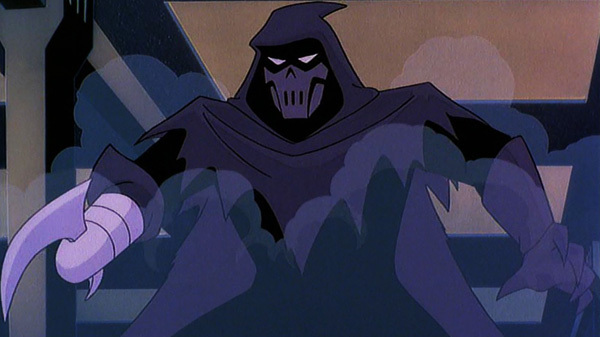 Initially the villain of the movie isn’t one of Batman’s rouges gallery, but a completely new character called “The Phantasm” This spooky looking character like Batman adopts a frightening visage, but goes further than Batman ever did by actually killing villains. The Phantasm’s reasons for targeting the mob and the Phantasm’s identity are the backbone of the movie. To be frank, the mystery of the Phantasm’s identity is not really a shocker, whenever emphasis is placed on a new character at the same time a mystery is happening, it’s not hard to put 2 and 2 together. But when a movie is this good that doesn’t matter. The way the Phantasm ties into Bruce Wayne’s decision to give up any semblance of a normal life to fight crime as Batman is really smart. As if The Phantasm being a presence in the movie is not enough, The Joker himself appears halfway through and emerges as the true villain of the movie. It makes sense since The Phantasm is more of a grey character, while The Joker is the biggest villain in the entire series. Mark Hamill’s performance as the Joker is a powerhouse here, as is in the series. Pretty much every line he gets is great, from his more playful puns, or when he gets menacing confronting a corrupt politician. So not only do we get a new villain in The Phantasm, but we have another confrontation between Batman and The Joker. Probably my favorite moment in the movie is Joker’s laugh seeing the World’s Fair start exploding. The bottom line is that adding The Joker to any Batman story can only elevate it. Not only is Batman: Mask of the Phantasm a great version of Batman, I would say it is in the upper tier of Batman movies, period. It takes everything that was great about the series including the great voice acting, visual style, and serious take on the subject matter, and transfers it successfully to the big screen. I would recommend it as a great starting point for anyone that is interested in Batman. Once you’ve seen this movie, I don’t know why you wouldn’t be interested in Batman: The Animated Series which is cut from the same cloth as this. Both are highly recommended to all.